We welcome your support, whether it is a foundation grant or assistance in hosting a fundraising event. Our benefactors are passionate and determined to make a change for the better in the world. Join them in creating a future for the children of House of Hope in Port-de-Paix. Help Friends of Humanity save lives and bring change to northwest Haiti. As a benefactor, your contribution makes a real and important difference. Feeding, clothing, and providing medical relief for children is our number one priority. We gratefully welcome benefactors who will help us continue the day-to-day work of saving the lives of northwest Haiti’s needy children. Benefactors also enable us to do the projects that bring about true change in this impoverished community. We hope to expand the water project which brought clean drinking water to Port-de-Paix. We also plan to embark upon a project to build a waster water treatment and reclamation facility. Both will make a significant improvement in the lives of everyone in the community. We would like to assist Beraca Medical Center with obtaining new equipment and additional supplies, particularly medicines. 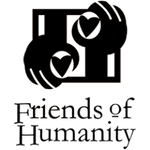 Friends of Humanity looks forward to future partnerships with organizations who wish to make a very real difference to those in need, particularly children. If you or your organization is interested in supporting our efforts, please contact Kathleen Monahan using the form below.